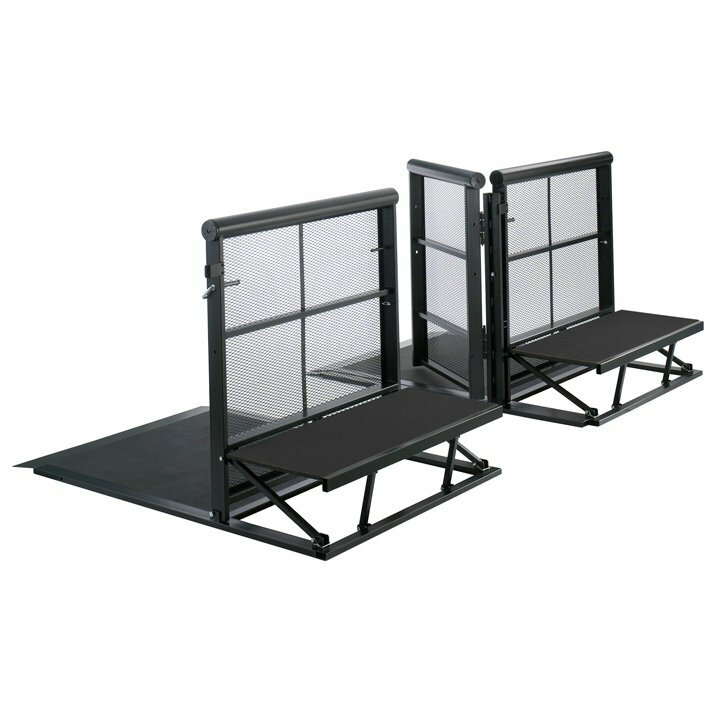 SICO® Crowd Control Barriers are sold as portable folding free-standing units — in 4' high x 4' or 6' (122cm) high x 4' (122cm) or 6'(183cm) wide mesh panel sections complemented by polyester powder-coated black finish. 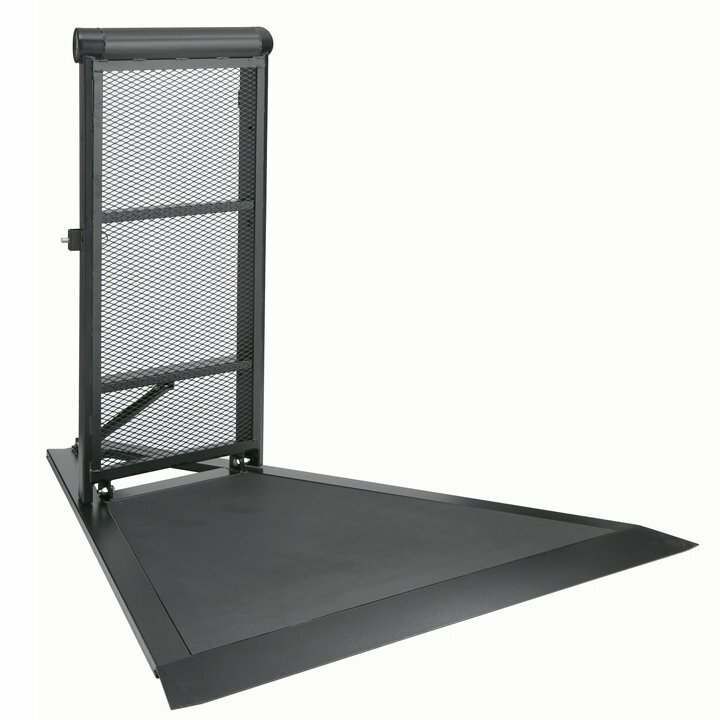 When sectioned together the units form a sturdy continuous rear security step for security officers. 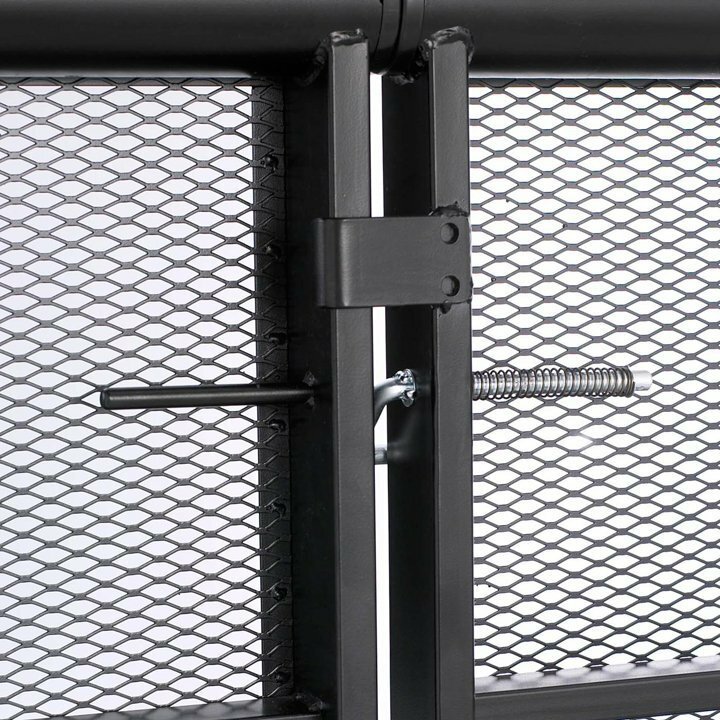 The barrier frames are made out of welded steel tubing for maximum strength and durability. Each barrier unit has a large 3.5" (8.9cm) diameter metal tube across the top for firm protection and each tube end is finished with a plastic cover eliminating all sharp edges and potentially lost pieces. 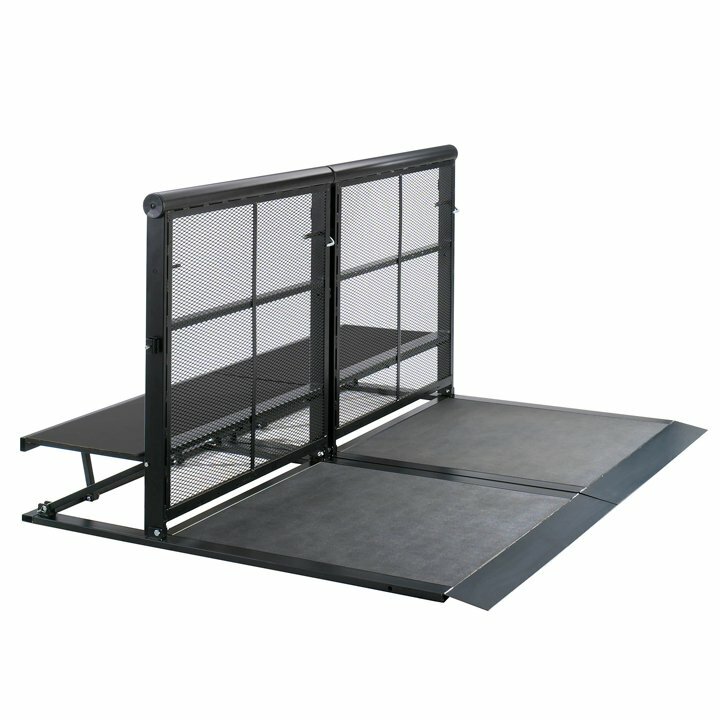 Each barrier unit features an expanded metal screen that won't block or reflect sound waves made of a fine mesh that has no sharp edges and won't trap or catch fingers or loose clothing. 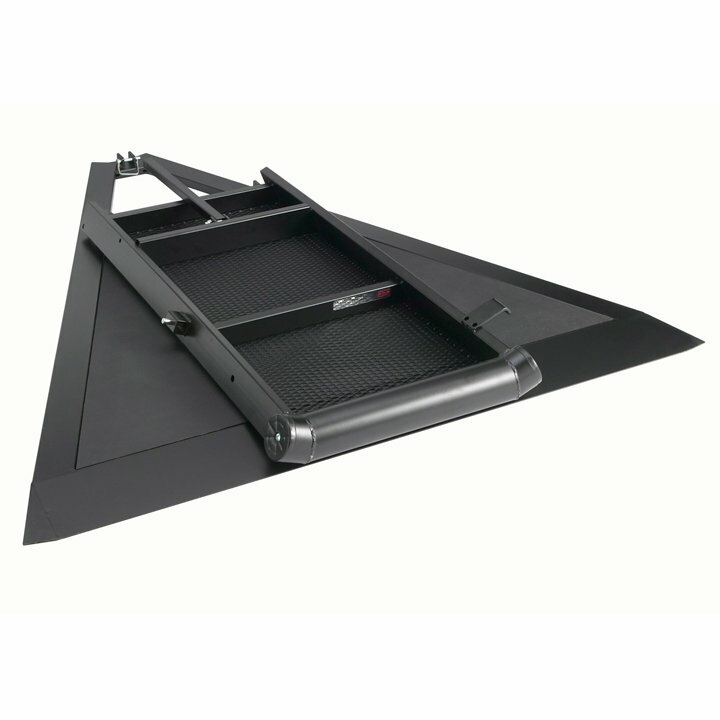 Each security step measures 12" (30cm) deep x 12" (30cm) high x 4' (122cm) or 6'( 183cm) wide. 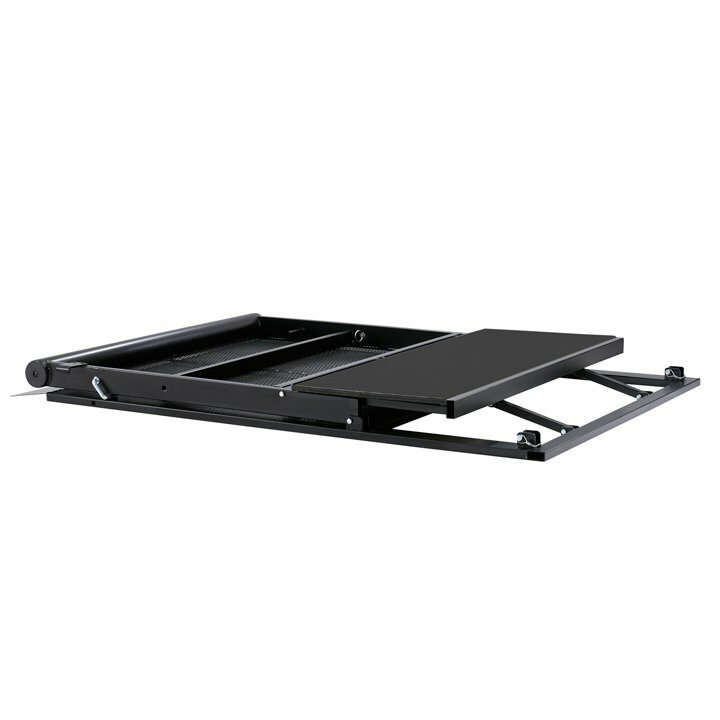 The step is permanently attached and pivots into position when set up. Each is made of a 5/8" thick x 20" wide plywood substrate covered in a rugged floor grade gray vinyl exterior that's easy to see by security staff. Each barrier floor section measures 1" (2.5cm) thick x 48" (122cm) deep and runs the complete length of the barrier unit. Each floor section has 1' (30cm) x 2' (61cm) steel framing with a continuous 6" (15cm) wide metal safety ramp along the front of each section. The wearing surface is Tuff-Deck a .05"(0.13cm) through-color black plastic surface. You can use a barrier thrust configuration as a smart way to diffuse a rowdy crowd from moving left or right. This design also allows for configuring around runway stage layouts. Each barrier floor section measures 1″ (2.5 cm) thick x 48″ (122 cm) deep and runs the complete length of the barrier unit. Each floor section has 1′ (30 cm) x 2′ (61 cm) steel framing with a continuous 6″ (15 cm) wide metal safety ramp along the front. The wearing surface is Tuff-Deck a .05″ (.13 cm) through-color black plastic surface. 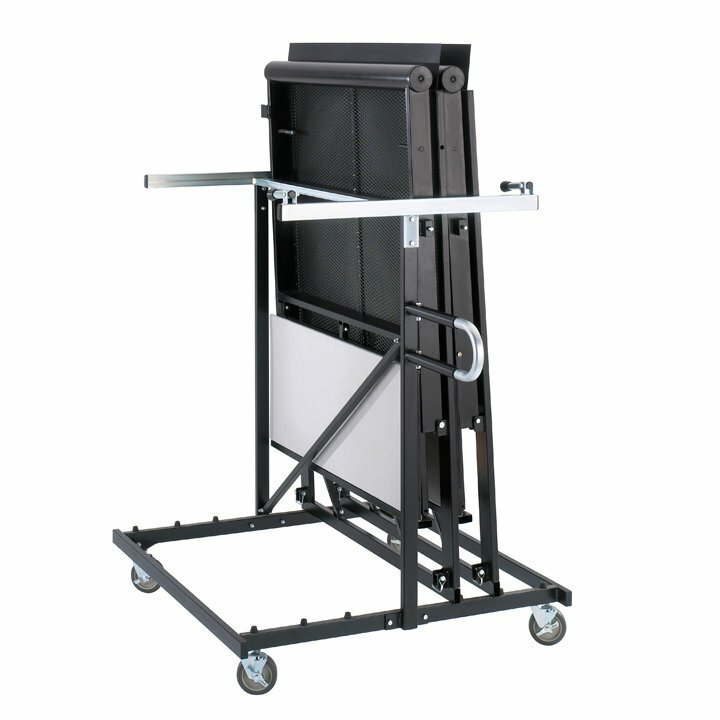 Transport 4 or 6 crowd control barrier units to and from storage.